Wild ducks can impact on agricultural production and the environment if their populations are not managed. The main methods of wild duck control include trapping, shooting and netting. 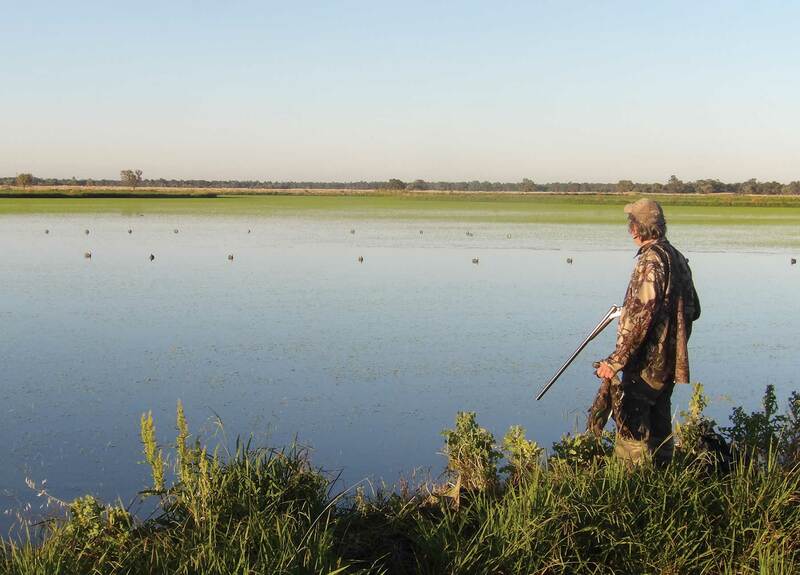 Rice Farmers in New South Wales have access to the Native Game Bird Management Program that enables landholders can seek a licence to have SSAA Farmer Assist members attend their properties to reduce the impacts of wild ducks. 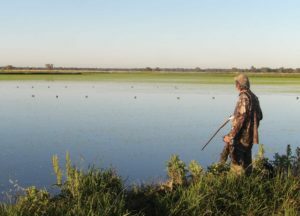 Other states do require landholders to apply for permits to undertake wild duck control. Shooting as a method of pest control is undertaken by a wide range of people. This includes government vertebrate pest control officers, landholders and licensed shooters. Shooting is humane and very target specific and can be used to control wild ducks. Shooting can work in collaboration with other pest control techniques to reduce the impacts and populations of wild ducks across properties. Shooting can be conducted both during the day and night. Various techniques of shooting such as the use of spotlights, decoys and callers can be employed to increase the efficiency of wild duck control activities. Shooting can be an expensive option if landholders need to employ a full-time, part-time or contract professional shooter/s. If shooting is conducted at no-cost by accredited volunteer shooters, it then becomes one of the cheapest pest control techniques available. Landholders can then use costs saved by utilising volunteer shooters to fund other complementary pest management tools. The SSAA Farmer Assist program enables landholders to find licensed, accredited and insured volunteer shooters to assist with pest duck control. We have thousands of qualified members across the country ready to help landholders and managers with pest duck control. It only takes a few minutes to register for the SSAA Farmer Assist program so you can find friendly and willing volunteers to assist you with your pest duck problem. 2017 © SSAA National. All rights reserved.